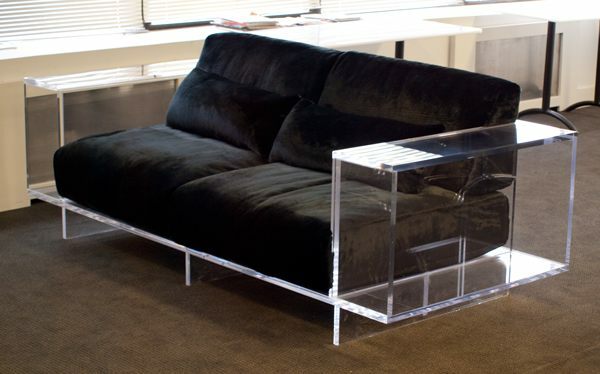 Here at Decoist, our love for clear acrylic furniture is no secret. 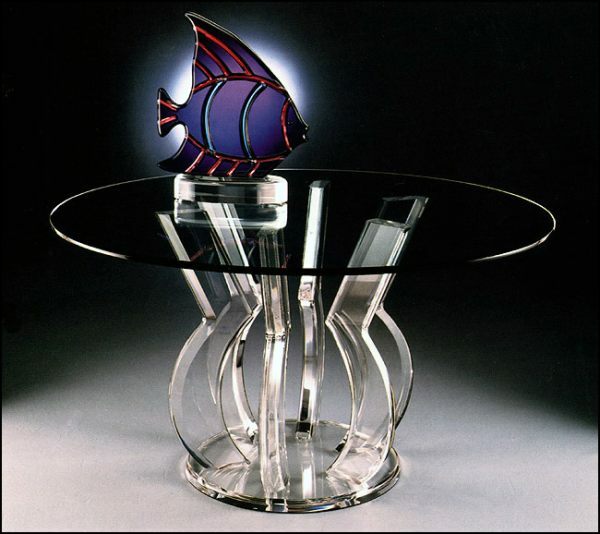 Not only do acrylic pieces add shine, they create the illusion of more space. How? Because you can see the floor through a clear coffee table, and a transparent chair by the window lets the light shine through it. 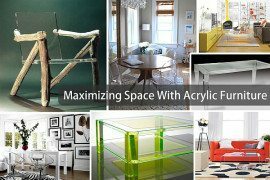 In other words, acrylic pieces don’t fight with the dimensions of the room or break up the space in a jarring way. On the contrary, they seem to float in the spaces they inhabit! 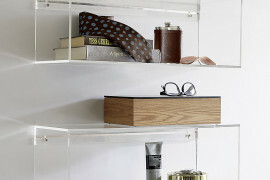 Plus, people are more likely to be organized when using clear acrylic pieces to hold their items. 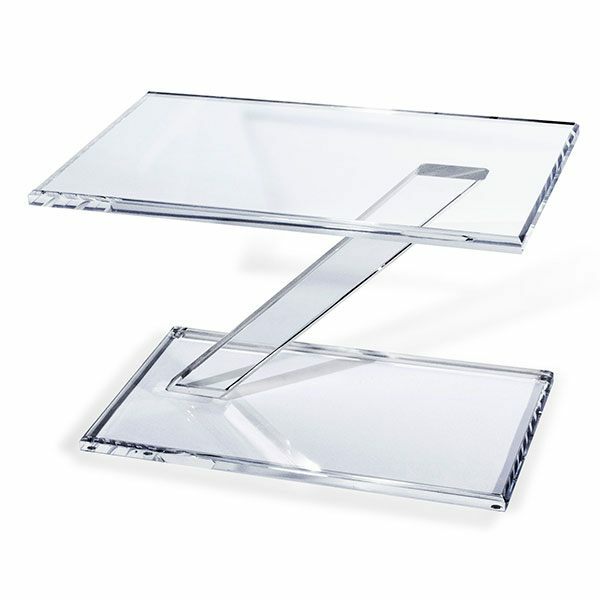 OK, so no research has been done on this topic… But would you want all of your clutter on full display through the transparent drawers of your acrylic desk? Neither would we! 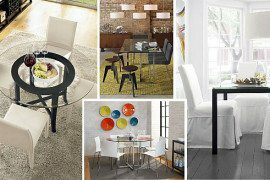 Which is why acrylic furnishings encourage neatness, much like you’re encouraged to clean your house when you know guests will be viewing its contents. 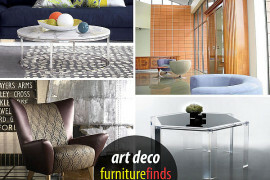 Speaking of viewings, take a look at our new round-up of acrylic furniture finds. Enjoy browsing today’s selections! 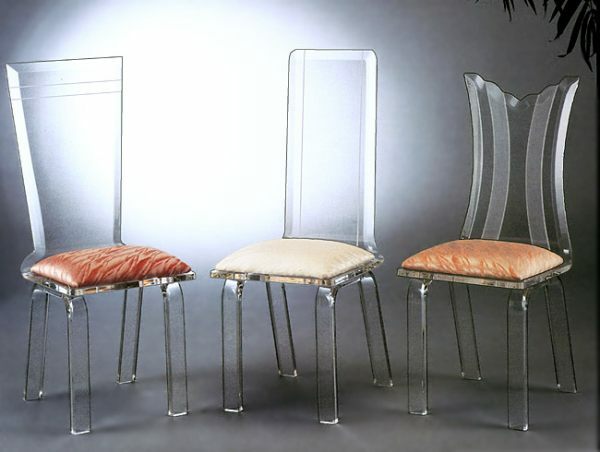 To kick things off, we turn the spotlight on some truly unique acrylic seating! 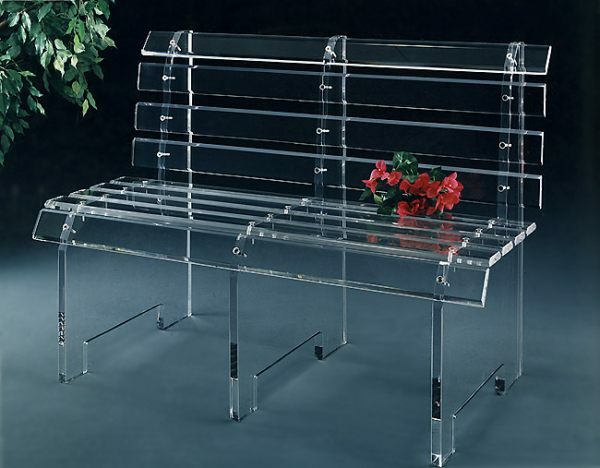 Wouldn’t this Acrylic Bus Bench from Muniz Plastics make an interesting outdoor piece for a modern patio or garden? 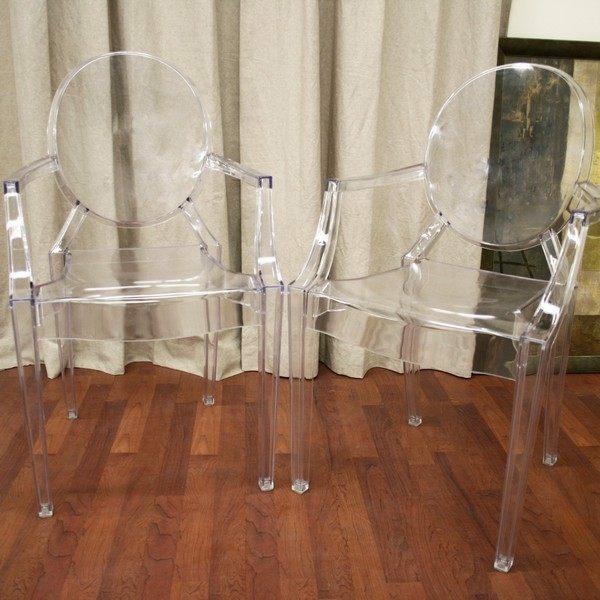 Picture a potted palm sitting right next to this see-through item, then imagine the bench sparkling in the sunlight! 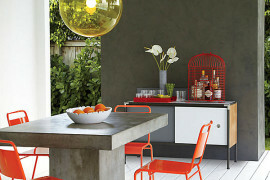 Acrylic tables open up a room, especially since they allow the walls and floor to shine through. 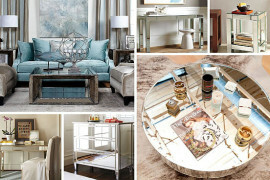 Whether you’re looking for a coffee, dining or side table, a range of options awaits you. 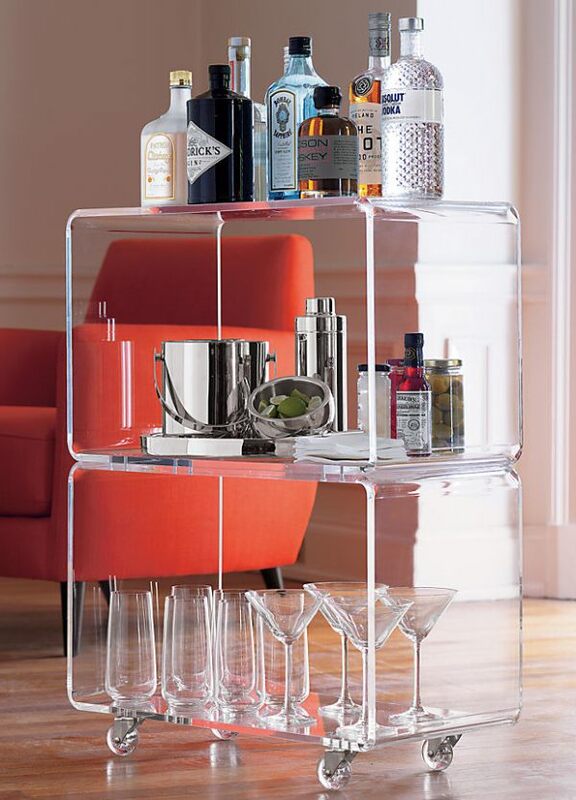 Like the peekaboo rolling two shelf from CB2, crafted of thick molded acrylic. 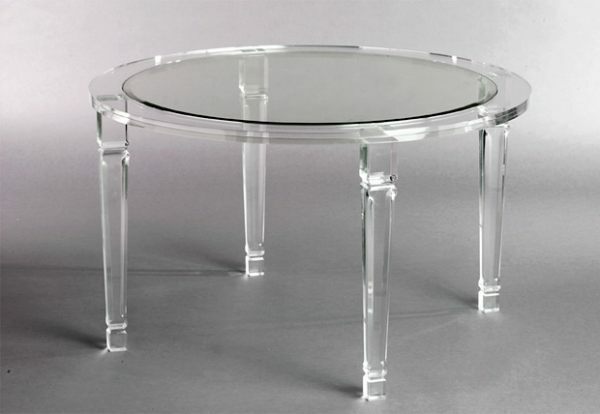 Clear acrylic casters keep the transparent style consistent from top to bottom. 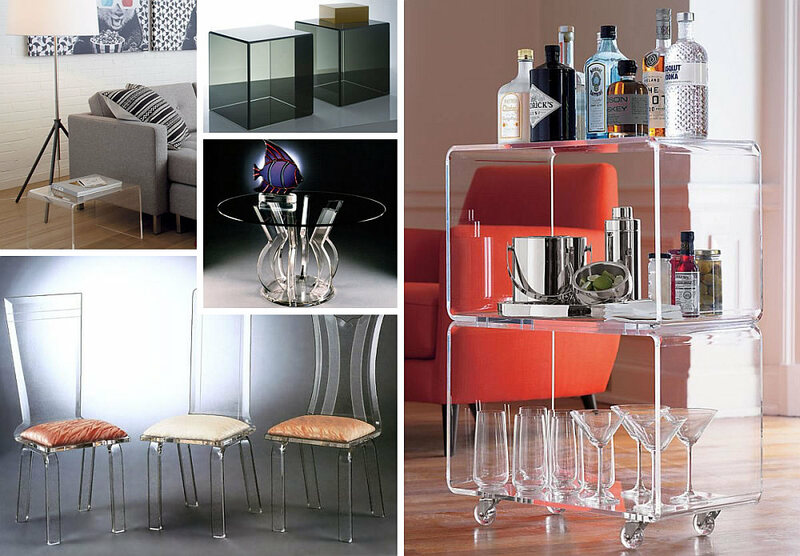 A two-tiered design allows for three layers of storage, which can truly come in handy when storing bar items, as shown below. 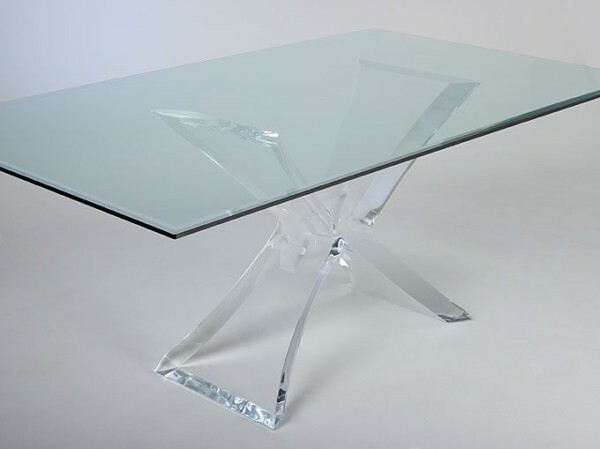 Stylish legs are a highlight of the Butterfly Acrylic Dining Table from Muniz Plastics. 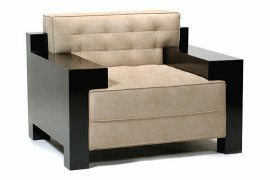 In fact, they create an X-shaped base that adds stability to this large piece. A beveled glass surface tops it all off with a solid finish. 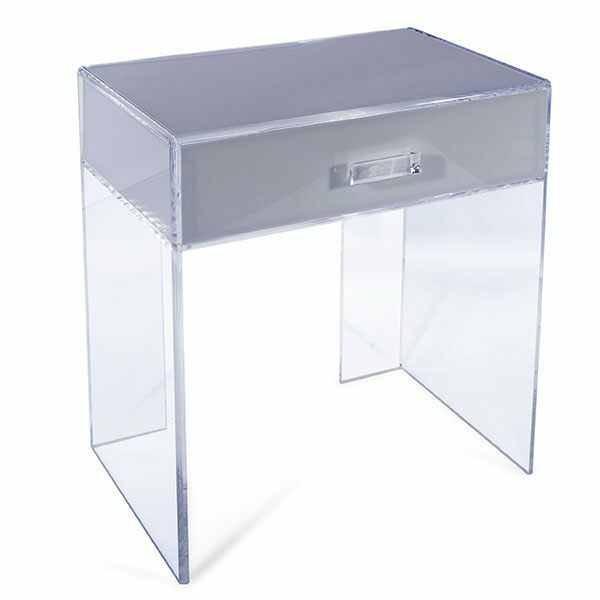 Acrylic desks bring a glamorous twist to the home office. 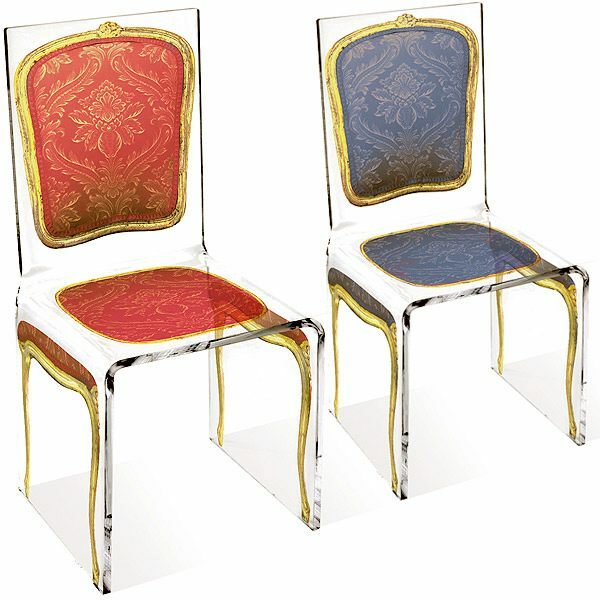 Nicely accented by upholstered, chrome or acrylic chairs, these see-through statements are as functional as they are stylish. 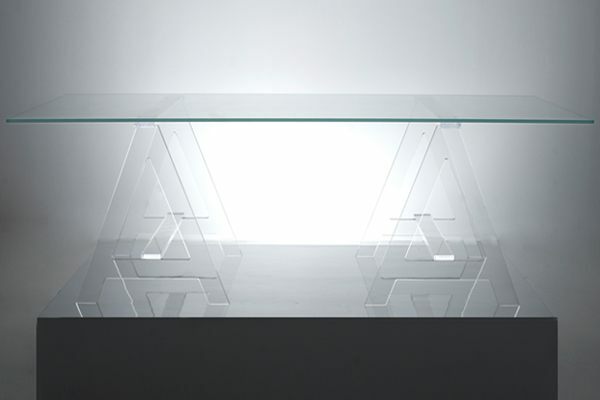 The Axle Acrylic Desk in clear and white is another stellar design from Alexandra Von Furstenberg. 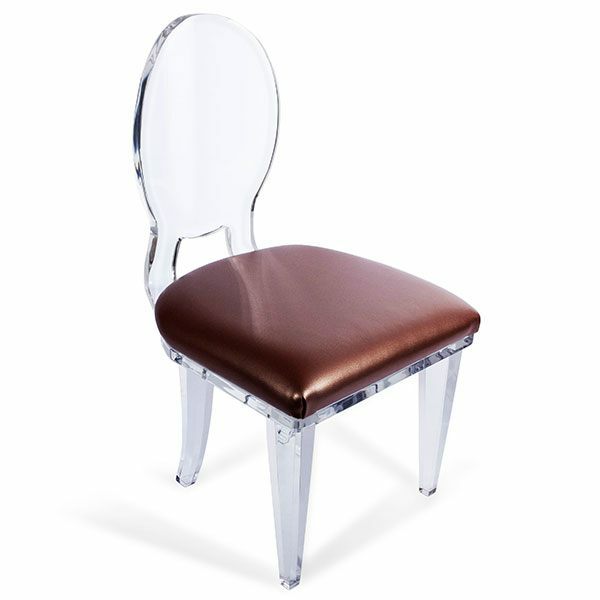 The white glass insert shown below can actually be ordered in a variety of colors, as can the acrylic frame. 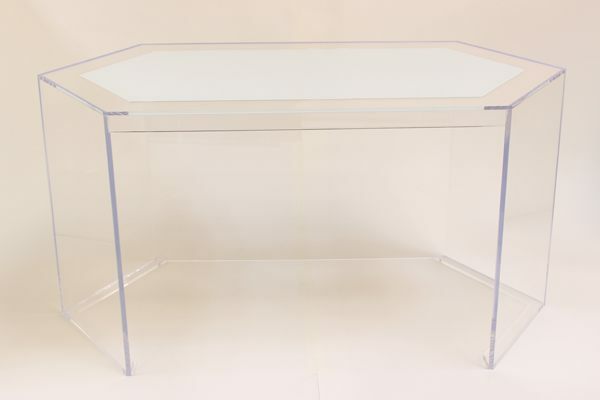 Also from AVF, the Blacksmith Acrylic Desk features an A-frame base. As you can see, the piece is definitely not short on surface space. 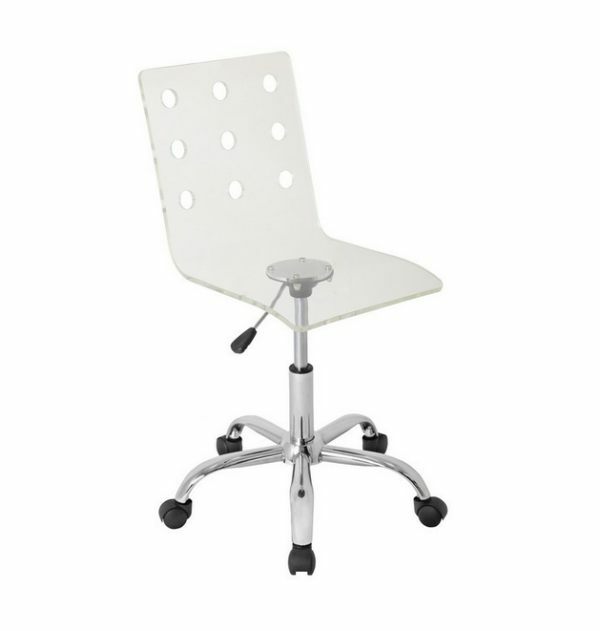 Perfect for large desk needs, this piece comes in many shades for both tabletop and legs. 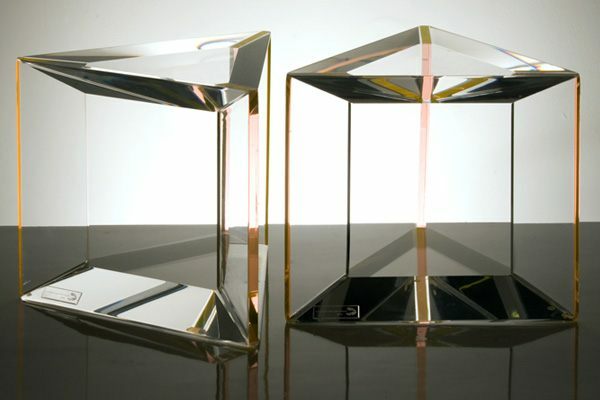 Clear acrylic pieces bring a cool, icy element to a room. 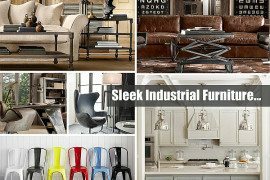 Blending easily with modern and vintage pieces alike, they can evoke a range of styles, from the glamor of Hollywood Regency to the minimalist modern chic of today’s most contemporary looks. Not sure if you want to go transparent? 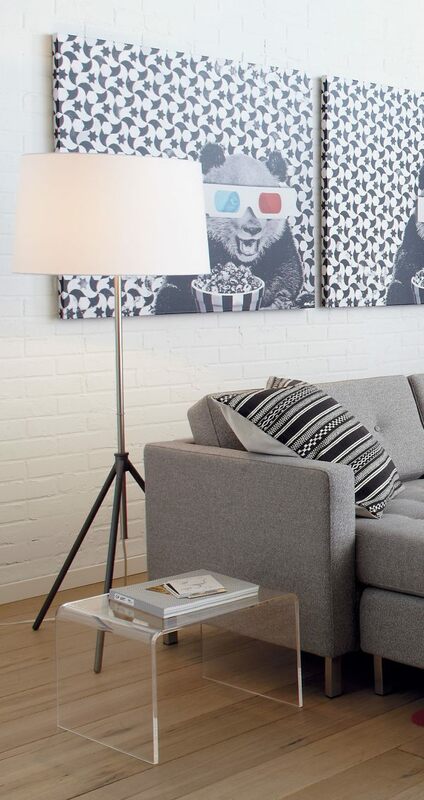 Start with a small piece such as a side table and see how it suits you. 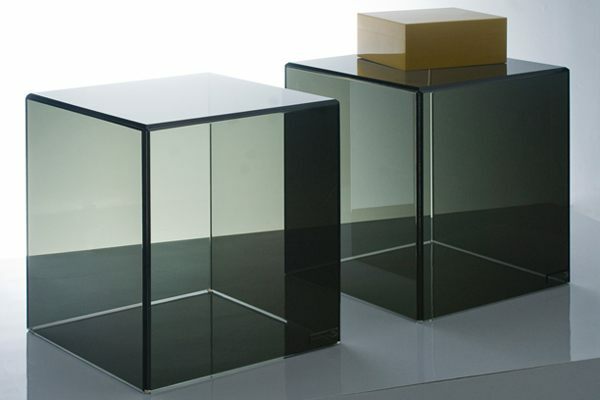 We suspect that in time, it will bring you the clarity you need to go bold with your acrylic purchases!